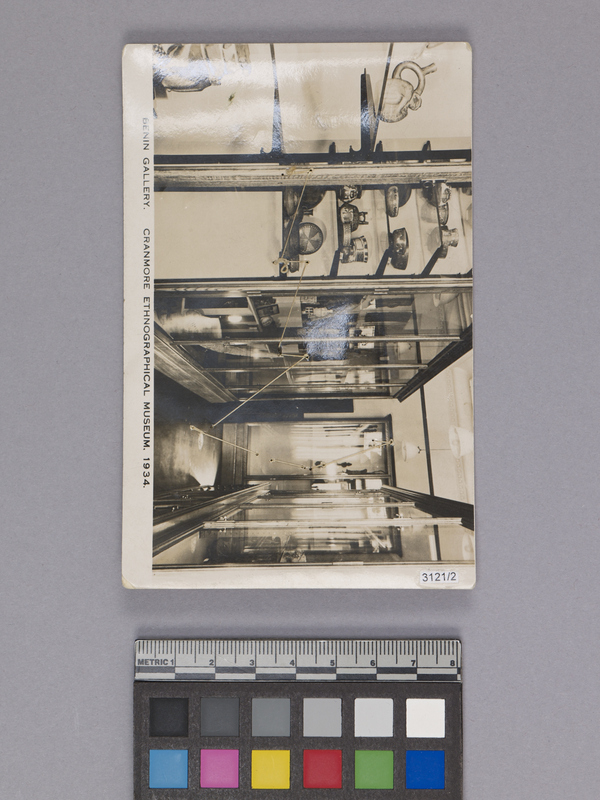 Item number 3121/2 from the MOA: University of British Columbia. Part of a forehead ornament (kapkap) made of tortoise shell. The carved shell ornament has four long points at bottom, with two holes bored through the shell at centre above, and three spines supporting a series of open triangles. 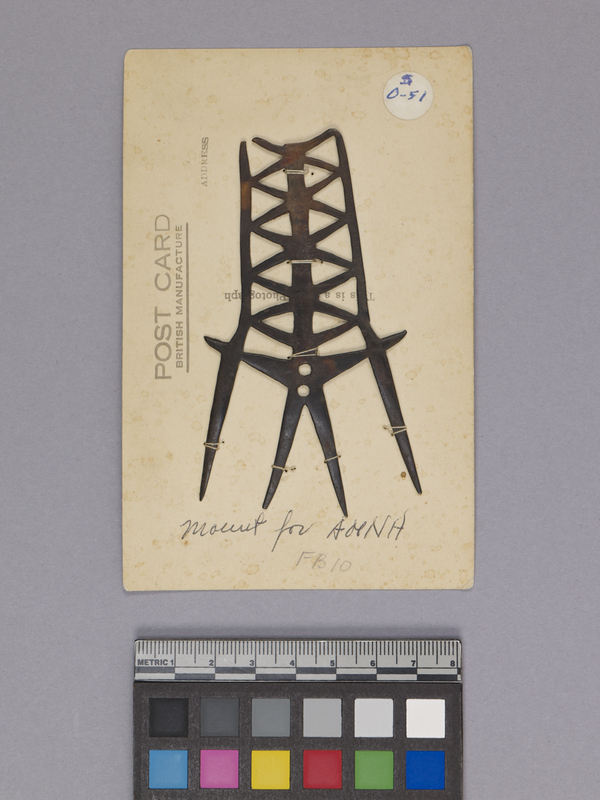 The ornament is tied, at multiple points, by cotton thread onto the back of a trimmed postcard. The image on the front of the postcard shows a black and white photo of the Benin Gallery of the Cranmore Ethnographical Museum.